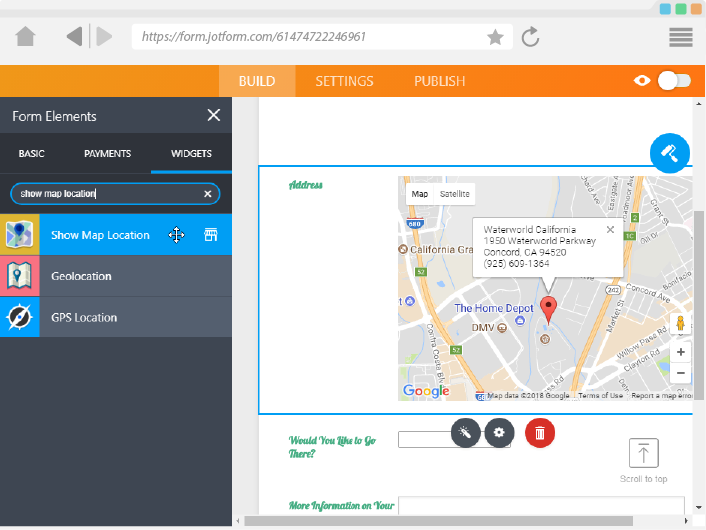 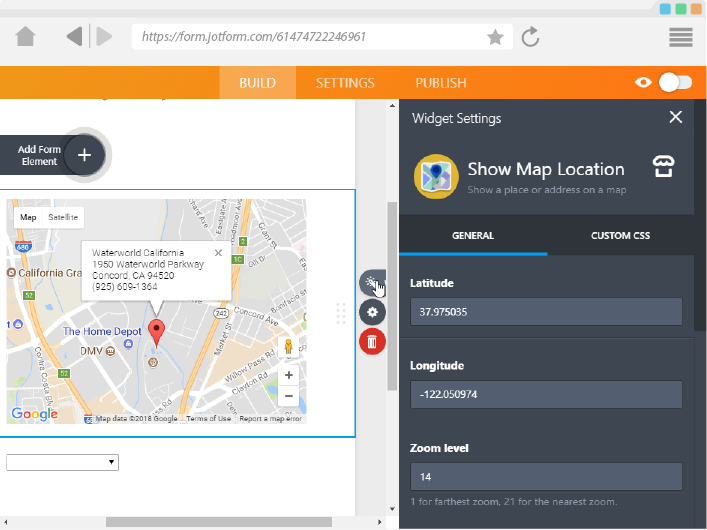 Often, you might need to direct your form users to a certain location, and the easiest way to do this is to show the location on a map. 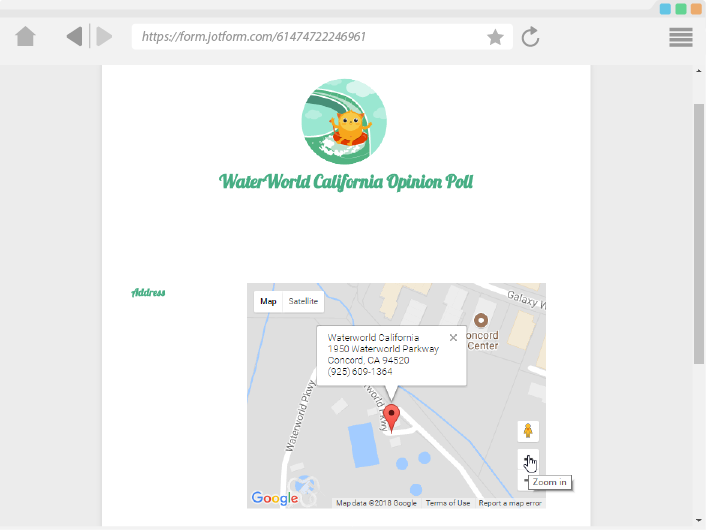 All you need are the Longitude and Latitude coordinates to the location, a physical address, and you can easily pin point that location on a map, then display in on your form. 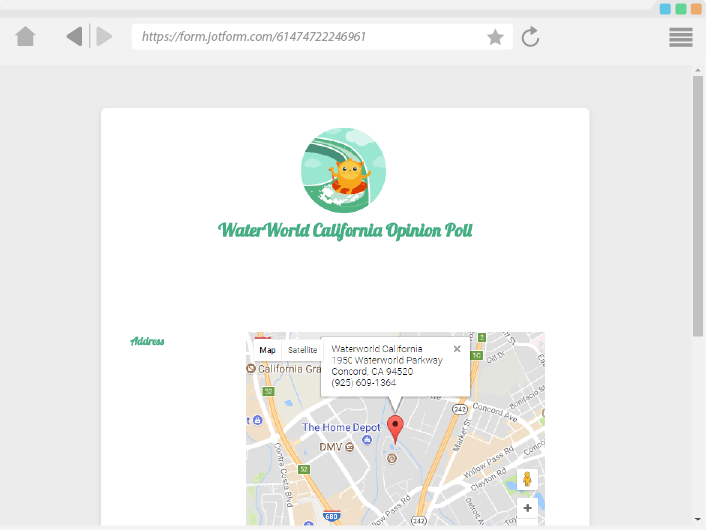 Powered by Google Maps, you can now easily display your office address, survey location address, event location address, or just simply give your form users an easy time in trying to locate a place on a map.